Tall, short, strong, or sweet, coffee has them all and more. 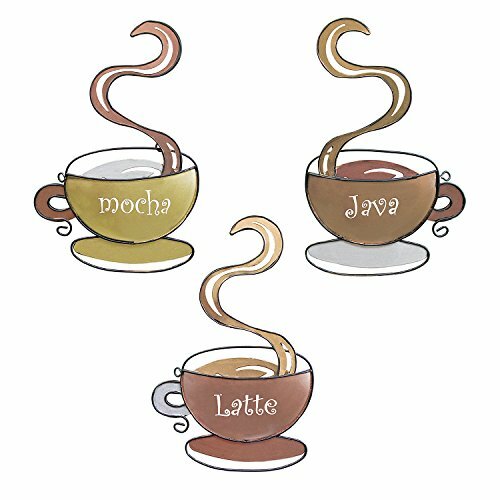 Just like us, there are so many varieties for what could be, “the perfect cup of coffee.” So well there is no right or wrong way to make the popular drink, each country and culture has its own preference. As for many people, this versatile beverage is needed in their daily lives. In fact, www.coffeereasearch.org provides us with a static that claims 54% of the American population are coffee drinkers. It also determined that 3.1 cups are drunk in a single day per person in the U.S. alone, by both men and women alike. What is it about this drink that has us hooked and some, not able to function without? (Other then the caffeine of course.) Where did this staple drink first make its name on our globe? When seeking the origins of this first cup, the most commonly told legend tells of a goat herder, Kaldi, living in Ethiopia. Kaldi discovered the energetic properties of the bean when feeding some to his goats one night. Apparently, the goats were unable to sleep and they bounced energetically until morning. Kaldi spread the fruits of his powerful discovery to his friend living in the local monastery, who was grateful for them as they kept him awake during the prayer hours. Word of the magic beans apparently traveled through the monastic community until it found its way to Arab countries. Enthusiastic and newly energized, traders would take coffee even further across the globe through trade. 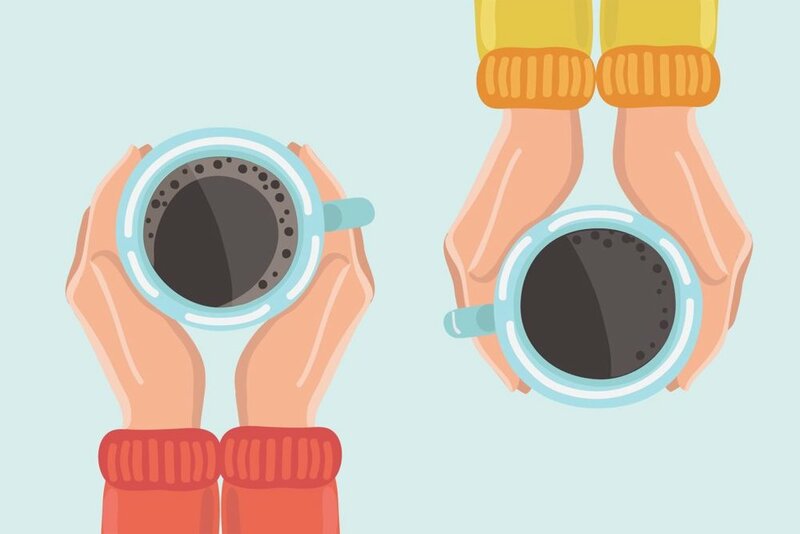 Coffee then became the most popular morning beverage choice over alcohol, which was proved to slow down a person’s metal awareness - the exact opposite effect of coffee. Thus, coffee has left its mark on us, for many people the world over depend on it to enrich their quality of life on a daily basis. As coffee is said to be the most customize-able drink there is! Its point-of-origin flavor subtleties, serving temperatures, roasting techniques, and adds-ins are only increasing in number as new coffee shops are built and discovered daily. One thing’s for sure: whoever you are, there will always be an option for you found within the coffee universe. For vegans, almond milk, coconut milk, and soy milk, are all optional customizations that can be considered in almost any high-end coffee shop. Additionally, unique flavor combinations for more adventurous people are offered by many well-known chains. These brands like Costa, and Starbucks even offer seasonal drinks and secret menus that have gotten many people buzzing in and out of their doors. Not only are these coffees all the rage, but there are even collectable cups that lure collectors during special limited seasons. This way, not only are your taste buds excited, but your eyes are captivated by the colors and designs of coffee fashion. There are even choices within coffee shops that have nothing to with coffee at all. Items like cakes, sandwiches, and mints are worthy pairings with whatever is in your cup. With great power comes great responsibility and the same can be said about coffee. With each cup of caffeinated coffee, we are inviting a stimulant into our systems. The caffeine then replaces the adenosine in your brain, which is the chemical that is formed during the day to make you tired. Adenosine, is then removed by sleep, leaving you feeling more awake. However, caffeine replaces those adenosines which leads the brain to forming more receptors and then creating dependence so one can stay awake. So, coffee addiction is real – even though it’s literally in your head. Ultimately, everyone has his or her own unique taste and style preference for this varied drink. With this in mind, it’s easy to notice how each order says a little something about the person and their personality. “Double shot espresso,” could tell us this person might be tried or busy or just plainly prefers strong flavours. Then there’s a “grande frappuccino with extra cream.” Does this indicate that this person isn’t such a fan of coffee, or maybe he or she is inclined to creamy and sweetly smooth flavours? There are also the adventurous people who ask for, “one of whatever is new on the menu.” It seems like there is a coffee drink for nearly everyone. Are we revealed by our coffee choices? 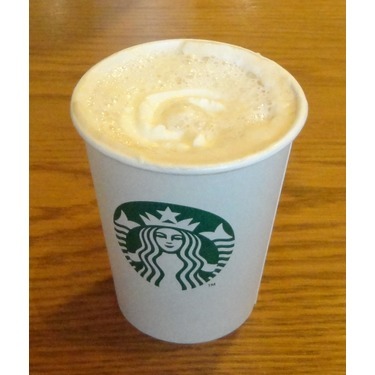 See if you can match the Starbucks coffee order with its drinker. As a proud South African, I'm living my life in Shanghai, China while soaking up the culture and beauty around me. I love art, along with the art of story telling, and seeing things out of the box! https://www.rd.com/health/healthy-eating/coffee-health-benefits-longer-life/, https://www.amazon.com/Adorox-Coffee-Hanging-Lightweight-Coffeehouse/dp/B00RPPYNAG, https://www.pinterest.com/pin/59743132536496074/, https://gifer.com/en/7BtX, https://giphy.com/gifs/animation-disney-cartoon-2dEPtt2Oxhp5u, https://images.chickadvisor.com/item/46451/375/i/starbucks-vanilla-latte.jpg, https://www.starbucks.com.sg/images/default-source/coffees/listing_1.jpg?sfvrsn=2, and author’s own image.